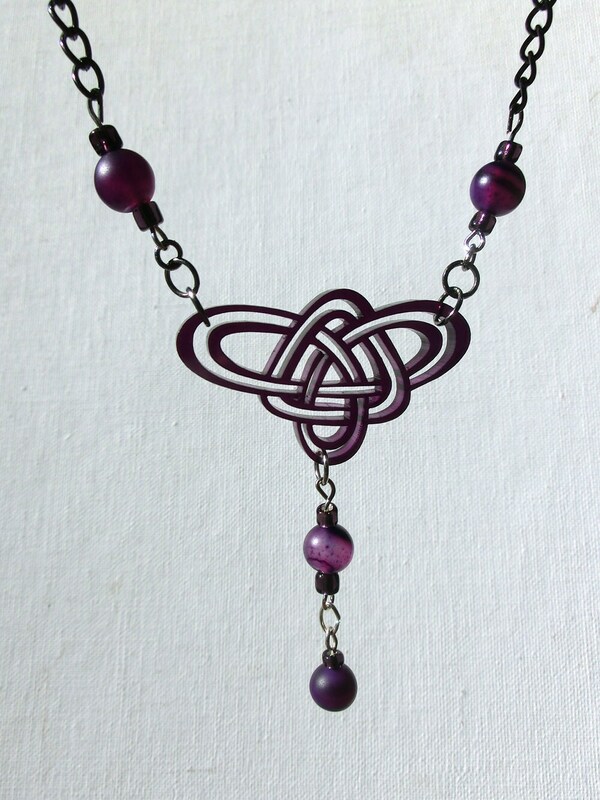 in purple with purple bead detail and chain. 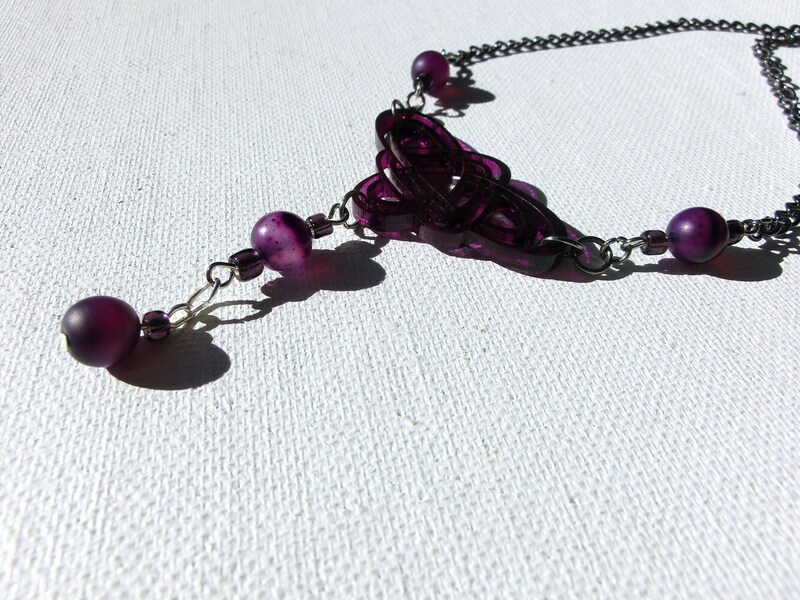 in translucent purple with a lovely, glossy finish. glowing purple light patterns shine through onto your skin. or garden-variety Shakespearean fairy goddess. based on an original drawing by Laura Cesari & Jeremy Richardson. with elegant glass beadwork and chain detail. 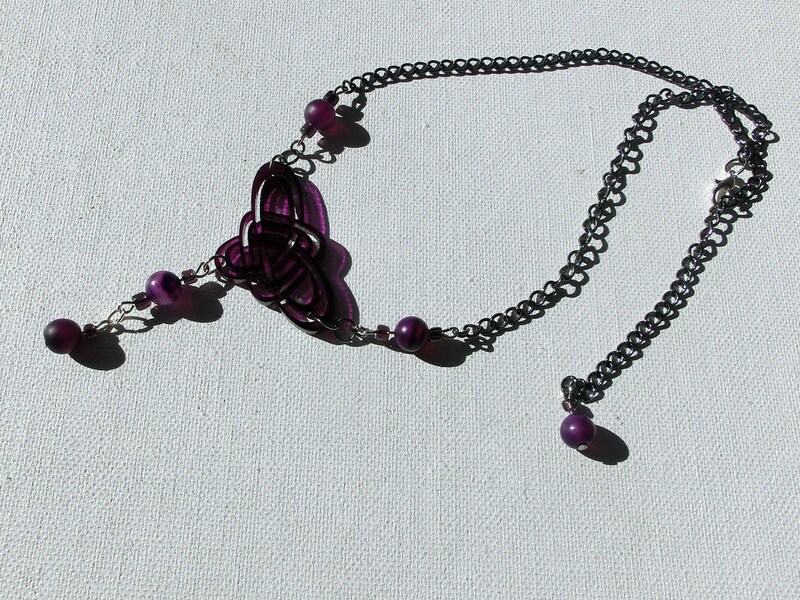 We are happy to make this item a longer or shorter length, or substitute the lobster-claw clasp with a twist-barrel or toggle clasp: if you want a custom length or clasp, please specify your preference in the "message to seller" area, or send us a conversation through Etsy.